Join our huddle and become a champion for cancer patients in New England! The Joe Andruzzi Foundation’s (JAF) giving society, Champions Circle, recognizes exceptional businesses who want to play a key role in financially supporting New England cancer patients and their families. Champions Circle is focused on highlighting businesses and business leaders who commit to making an impact locally with their annual gift to JAF. As a member of Champions Circle, you join like-minded business leaders who share a commitment in supporting cancer patients with impact at a local level. In return, you and your business will be recognized and promoted through various channels. Consumers often make decisions with their hearts as well as their heads and we want your business to do well, by doing good. How will my support of JAF’s Champions Circle be recognized? Your support and participation in JAF’s Champions Circle will be recognized with a variety of benefits, ranging from website placement to business spotlights in our newsletters. Champions Circle membership is based on unrestricted gifts facilitated by, or on behalf of, a business/business owner or individual. 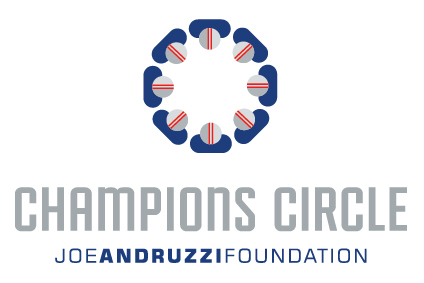 To join JAF’s Champions Circle online click the button below, or contact Matt Kavanagh, JAF Associate Director of Development, at matt@joeandruzzifoundation.org or 508-261-0630. One Stop Painting & Renovating, Inc.
Conquer Cancer Coalition of Mass., Inc.
Pediatric Dental Center of Mansfield, P.C. Stratton, Mike – Rackspace, Inc.